OSHChip contains 256 K Bytes of on-chip Flash memory which is used for your application program, the optional radio protocol software stack (such as Bluetooth Low Energy (BLE) or Gazell) and also for non-volatile storage. 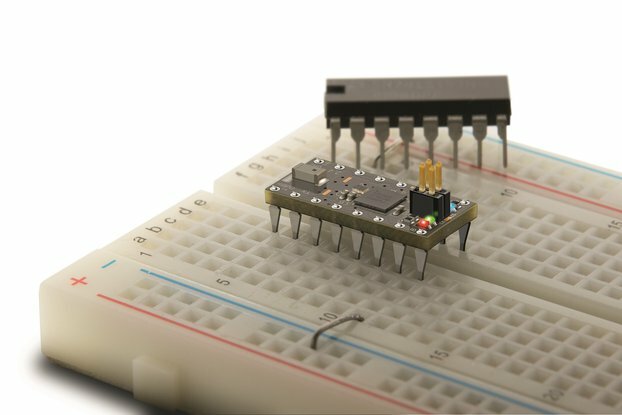 After you have written your application program and compiled it successfully, your next step it to program the on-chip Flash memory with the compiled and linked image. This is usually a .HEX file. 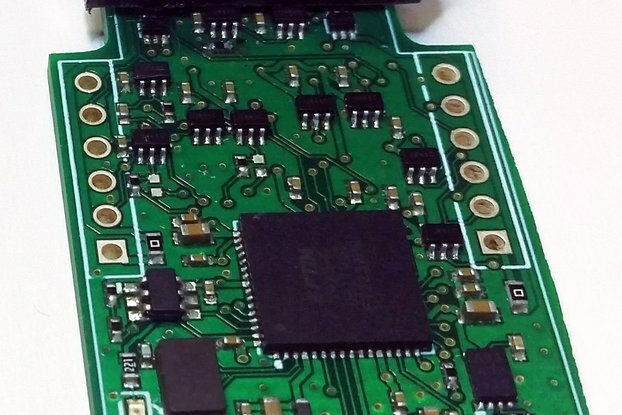 OSHChip_CMSIS_DAP_V1.0 is the tool for the job. With many alternative processor boards, in particular the various Arduino and mbed devices, that would be the end of the story: Download your program, and if it doesn't work, your available debug tools are pretty much limited to flashing a LED, or using printf() to display the value of some variables at one point in the program, at one particular time. OSHChip has a much more sophisticated solution thanks to the extensive debug support built into the Keil IDE and the CMSIS-DAP functionality provided by OSHChip_CMSIS_DAP_V1.0 . With this combination, you get best in class capabilities such as break points, examining and changing memory, single stepping through your code, and even breakpoints when a variable is read or written or matches a specific value. Once you have used this type of debugging functionality, you won't want to go back to just flashing a LED or using printf(). 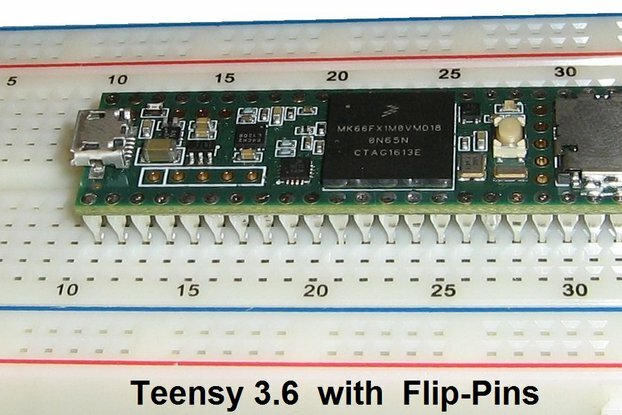 OSHChip V1.0 has a small 4 pin connector on the top side that is used for programming the Flash memory, and can also be used for debugging. 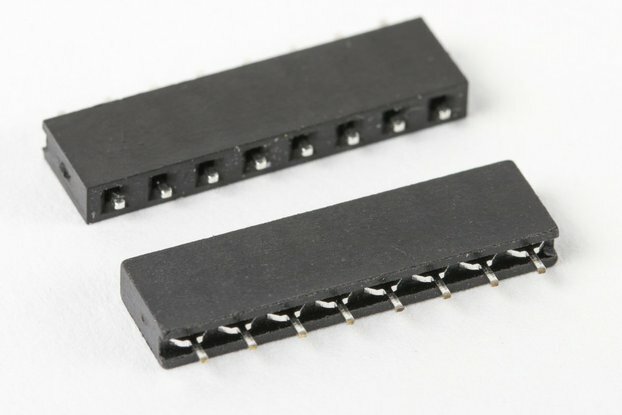 The 4 pins are the minimal pins needed to implement the ARM Cortex SWD interface. SWD is used on ARM processors from many companies, and so OSHChip_CMSIS_DAP_V1.0 can be used with products other than OSHChip. 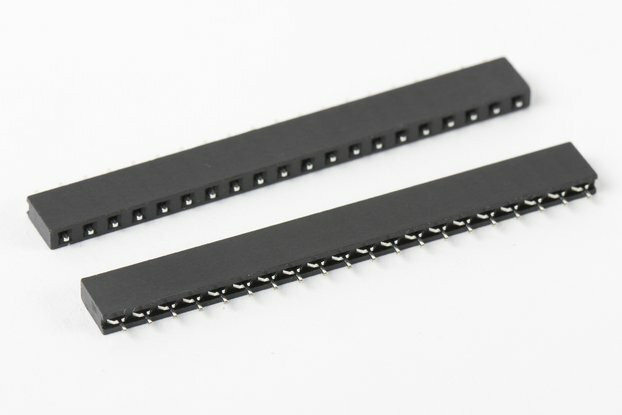 The SWD standard specifies a 10 pin (2 by 5) connector with pin spacing in X and Y of 0.050" (1.27mm). 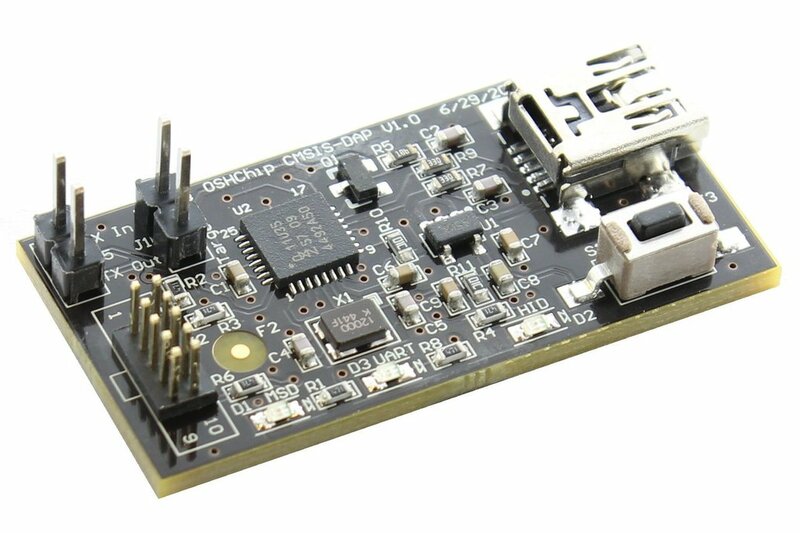 To convert from the 2 by 5 layout on the OSHChip_CMSIS_DAP_V1.0 to the 2 by 2 layout on the OSHChip V1.0, a small adapter OSHChip SWD 2x2 Adapter is provided. USB to CMSIS-DAP programming with a SWD connection to the target. Use this with the Keil IDE. This should be able to program any processor that the Keil IDE supports (there are hundreds) that can be programmed via SWD. There is also support for debugging with GCC's GDB debugger, via pyOCD. Although not yet tested, OSHChip_CMSIS_DAP_V1.0 should also be compatible with OpenOCD. 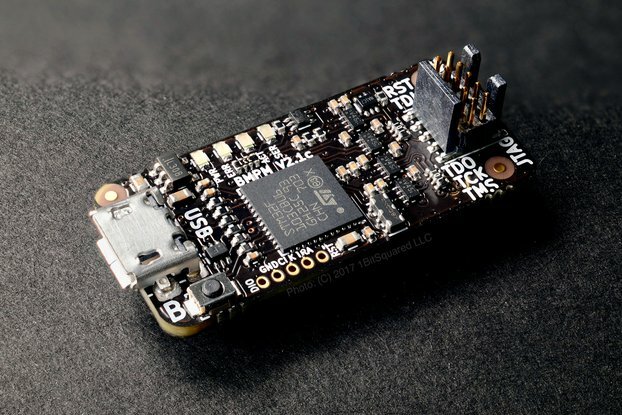 USB MSD (Mass Storage Device), shows up like a USB memory stick/drive, named MBED or OSHChip 1.0. You can drag and drop .HEX files to this drive, and it will convert the file to the appropriate SWD pin wiggling and program a nRF51822 which is the processor on OSHChip_V1.0. 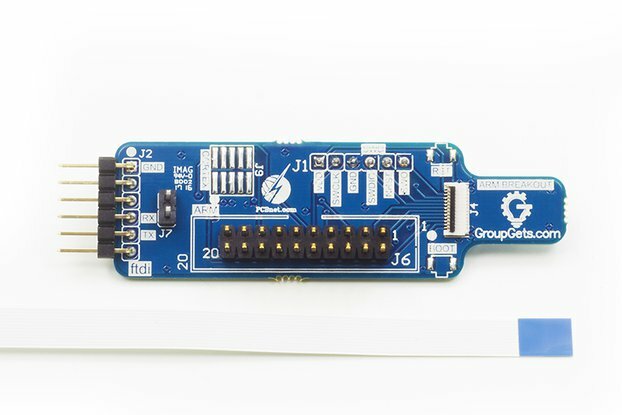 This drag and drop interface only works with nRF51822 target processors. USB to virtual COM port. The OSHChip_CMSIS_DAP_V1.0 provides serial I/O at LVTTL (0 to 3.3V) levels on the 2 pin header on the end of the board. 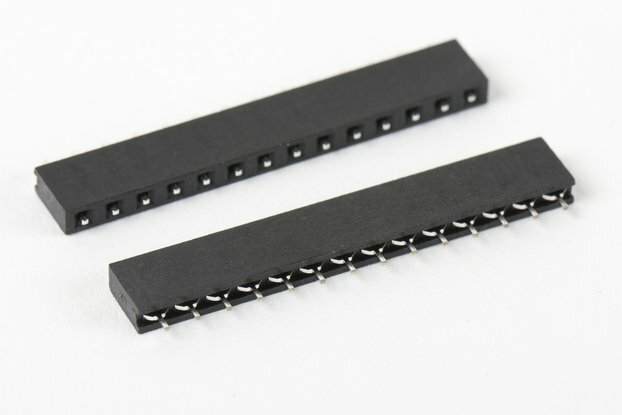 These can be connected to anywhere in your system that has async serial I/O, so no specific pins on OSHChip_V1.0 are required. This interface has been tested extensively at 9600 Baud, but it should work at up to 115200 Baud. Since you may not have access to Altium Designer, I have also included all the Gerber files and the Excelon drill file in the directory Gerbers_and_Drill_Files. You can see a presentation about OSHChip here.